Drivers are used to seeing gas pumps, but California, the No. 1 electric-vehicle market globally, is seeing a wider expansion of electric vehicle charging stations. EV owners are able to recharge their vehicles at home, but there are a number of free charging stations being installed - and helping woo a growing number of car buyers to consider purchase electric vehicles. 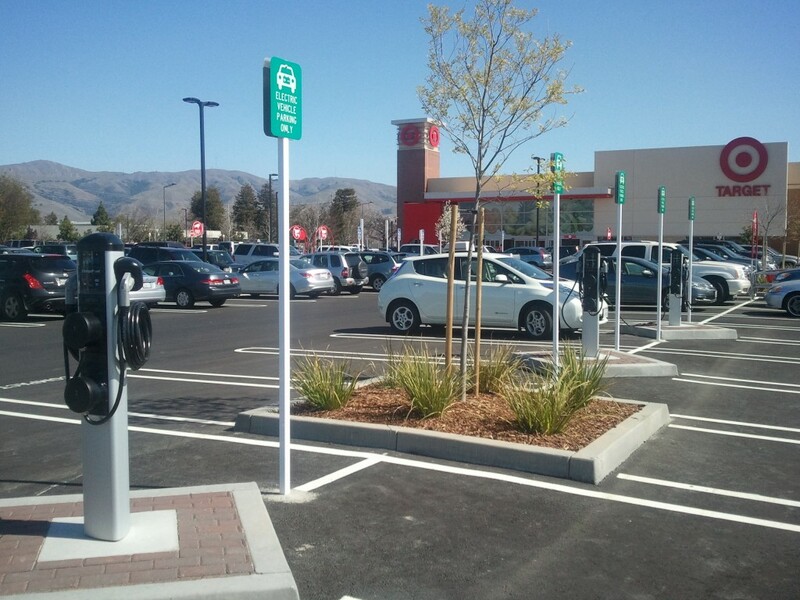 Not surprisingly, most of the charging stations can be found in the San Francisco Bay Area, Los Angeles, and Sacramento, but are increasing in number in more rural areas. The state currently has more than 1,840 charging stations statewide, and that figure is only increasing. "To put it in perspective, I sold 10 (Leafs) last month but the numbers out of the Bay Area are much higher," said John Driebe, Nissan car dealer in Elk Grove near Sacramento, California. "I'm seeing (monthly dealership) sales of 60, 70 and 74 at those dealerships. With the population density and the all high-tech people working in the Bay Area, it's crazy how many they're selling there."